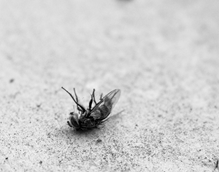 Got a pest problem in your commercial property? We provide both an extraction and prevention service so the little critters won’t be back after they’ve been eradicated. We are Cm3 certified so take your workplace’s health and safety very seriously. Got a pest problem in your commercial property? We provide both an extraction and prevention service so the little critters won’t be back after they’ve been eradicated. We are Cm3 certified so take your workplace’s health and safety very seriously. Speak to us today for a free commercial property pest control quote. We offer a 24/7 service so can work around your opening hours to solve your pest control problem.